SAFETY: With each and every fire performance a risk assessment will be completed and provide all safety measures considered and applied with appropriate stringency. Method statements, risk assessments and Public liability documents will be supplied for each public performance. 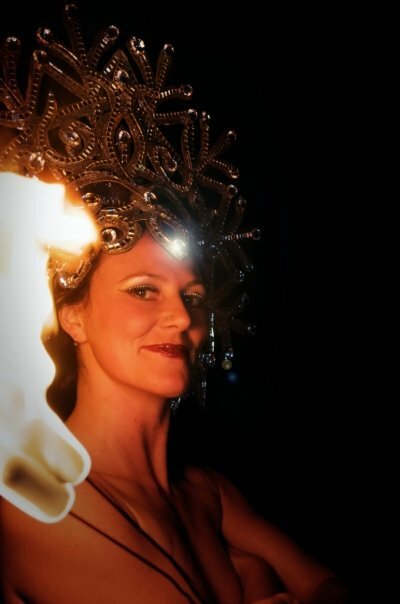 Ms Merlin has £5,000,000 public liability insurace and is a safe and highly professional fire performer. * Stage requirements: A carpeted stage/performance space is needed – carpet can be provided. Stage/performance space must be 5m wide and 4m deep with 4m head clearance minimum. 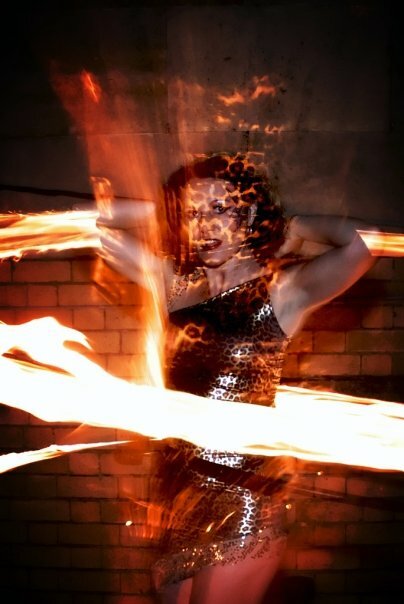 *Run-through: A technical run-through with lights, sound and fire is required. *Back-stage requirements: A back-stage area for dipping is required away from walkways. *Music: Ms Merlin can provide a small 50W sound system for small audiences (up to 50), for larger audiences the client will have to provide a sound system. *Weather: needs to be good!